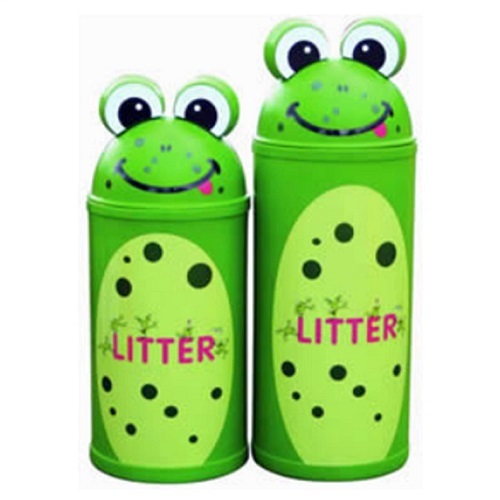 The Frog litter bin is part of our Animal Kingdom range of litter bins and is ideal for a wide range of locations such as schools, nurseries, theme parks, zoos and play grounds. The eye catching colours and fun animal face is a great way of encouraging small children to dispose of their litter in the correct way whilst capturing their imagination and giving staff and visitors plenty to talk about. The bin is available in a choice of two sizes, 42 or 52 litres and is manufactured from recycled and recyclable polyethylene making it suitable for both indoor and outdoor use. 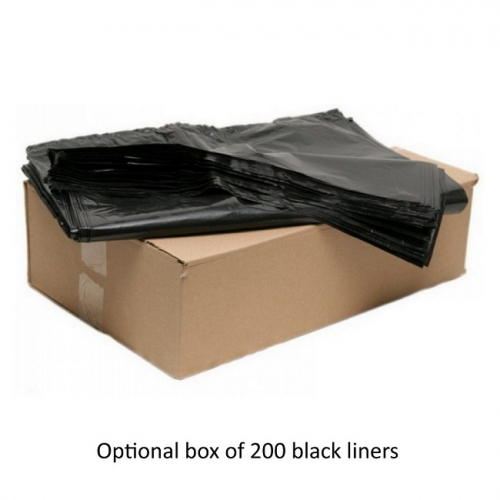 Polyethylene is used as it is extremely tough, durable and hard wearing meaning the bin can be located outside with very little maintenance required. The bin is also UV stabilised and will never rust or corrode. Vinyl stickers give the bin its unique appearance and eyes are fixed to the top of the bin to finish it off nicely.